International Protective Service, Inc. is committed to giving back in a meaningful way to the communities where we live and work. We are pleased to actively support a wide variety of local charities as well local events and fundraisers. We love being involved and making a difference. IPS is proud to contribute our service, time, resources, and expertise to help a variety of charitable programs in our community. Established in 2006, IPS has worked hard to protect and serve our community. Our company is known for “Providing Peace of Mind in an Ever-Changing World.” We have listed some of the organizations we work with so that you can see who our sponsors are and get in touch with, if you would like. During a ceremony Friday, August 5th, 2016, IPS was certified as ICE “IMAGE” partners, standing for: ICE Mutual Agreement Between Government and Employers. IMAGE is a voluntary program that allows private industry to partner with U.S. Immigration and Customs Enforcement (ICE) to reduce unauthorized employment and the use of fraudulent identity documents. ICE is striving to achieve the highest level of workforce integrity throughout the country by coordinating closely with industry partners. 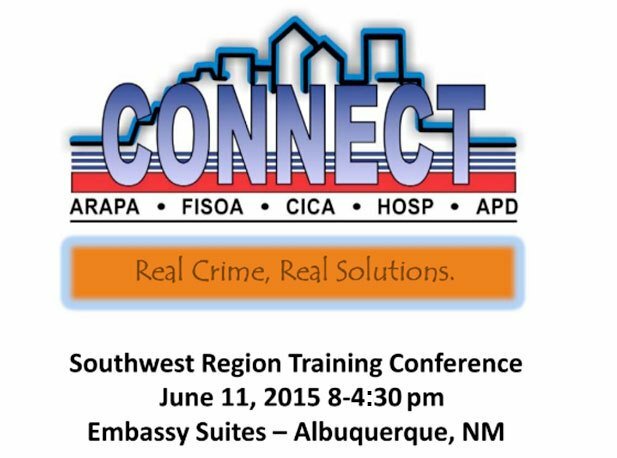 International Protective Service Inc. (IPS), which provides security and investigative services, signed an agreement with ICE becoming the latest full IMAGE partners in New Mexico. IPS would like to thank each and everyone of you who donated to the MDA Lock Up! The event was a huge success! 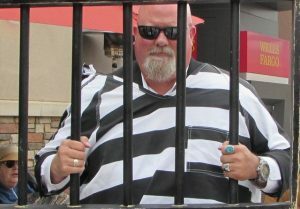 IPS raised OVER $1,600.00 toward the Muscular Dystrophy LockUp with your help! They say doing time changes you, but did you know that it can also help MDA — the Muscular Dystrophy Association — save and improve the lives of people fighting muscle disease? Muscle disease is a critical health problem that takes away abilities like running, dancing, hugging, smiling, and even breathing. Although our jailbirds are only “locked up” for one hour, the loss of mobility that occurs when muscles stop working — and the limitations on freedom and independence that can cause — are for life. Become a Jailbird. Go “behind bars” with some of the most prominent business and community leaders in your area, and ask your family, friends and business contacts to make donations toward your “bail.” These funds will help MDA find treatments and cures, support families with life-enhancing programs and resources, and rally communities everywhere to fight back against muscle disease. If you would still like to donate, you can do so through this link. Thank you for your help and support! It is greatly appreciated! Leesa Lee, Calvin Birmingham (IPS), Jim Floyd III (IPS), Andrew Baca (Abba Technologies), Robbie Trujillo (IPS), Erica Racek, The Stefoin Family (IPS), Enrique Sanchez (IPS), Greg Iiames (IPS), Vu Tran (PC Expert), Melanie (Achievement Gallery), Amanda & David Hall (IPS), David Loera (IPS), David Marks (IPS), Greg Evanko (Genesis Signs), Aaron Manning (IPS), Phil Polski (Document Technologies), Rich Rosley (A-Tech Security), Lonnie Talbert (Southwest Capital Bank), Brandon Carr (Gerald Martin), Shawn Windecker (Tint & Trim Factory), Jimmy Lehew.